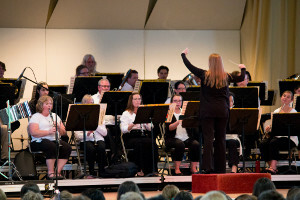 The Old Fashioned Band Concert and Ice Cream Social will feature the International Music Camp staff and faculty band performing a broad range of works including marches, classic works for band, popular melodies and more! We promise that this concert will dazzle the listener’s imagination and appreciation of good music in an informational atmosphere of an old-fashioned Ice Cream Social. Ice cream is sponsored by Pride Dairies of Bottineau.